Sedgewick Swing-Arm SconceSedgewick Swing-Arm Sconce, alt="Sedgewick Swing-Arm Sconce, "
Print With clean lines and a refined finish, this elevating accent lets simplicity shine. 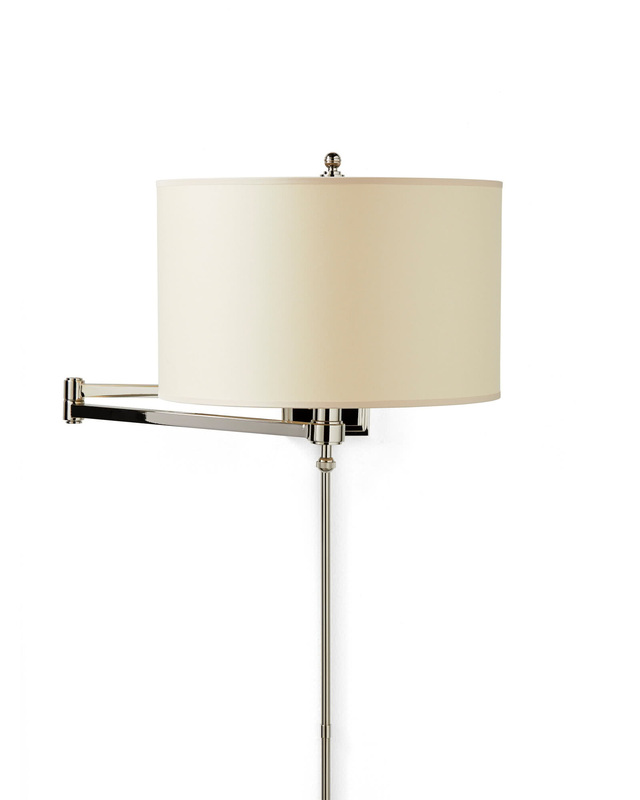 The sleek swing arm lets you point light right where you need it, and the drum shade brings nice contrast to the slim frame. 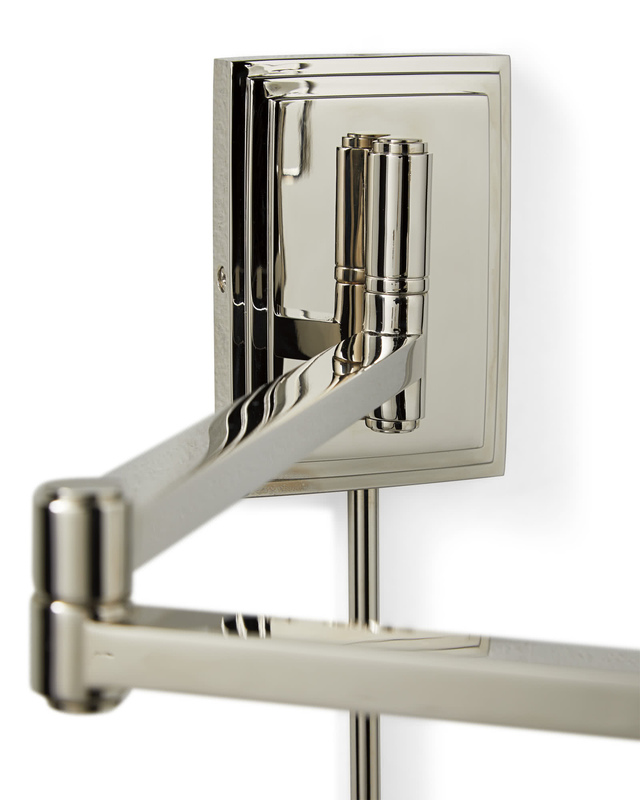 Crafted of brass with polished nickel finish. Can be hardwired or plug-in. Wipe with a soft, dry cloth. Do not use oil, cleaners, or polishes as these will damage the finish. Arm extends 28.5” from the wall.